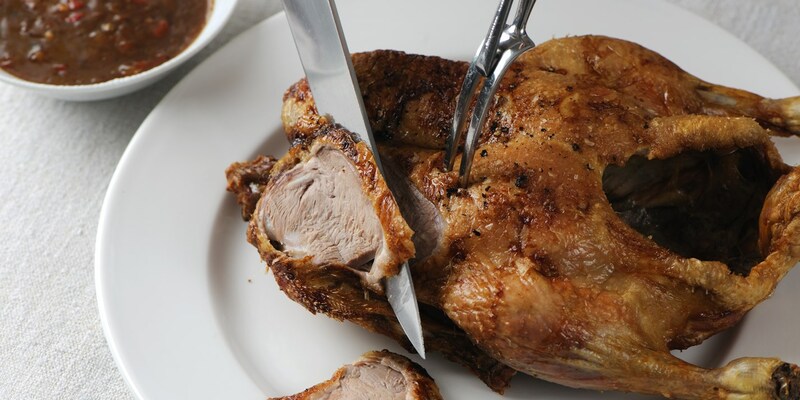 A beautifully-roasted, crispy-skinned whole duck makes a truly special family Sunday roast, but there’s so much more you can do. Particularly well-suited for cooking with an Asian twist, the addition of some carefully selected spices will create a genuinely unforgettable dining experience. Chinese duck is a popular order in restaurants, but this dish is rarely attempted at home despite being relatively simple to prepare. Marcello Tully's Whole roast duck with Szechuan sauce is an easy duck recipe with a spicy kick, or try Tong Chee Hwee's decadent Truffle roasted duck for the perfect dinner party showstopper.